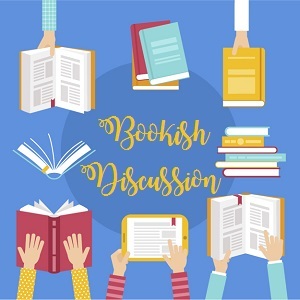 Bookish Discussions: How do you read so much?! 🌟 Since I started reading, reviewing and blogging -almost on a daily basis- I have been getting one question non-stop and that is: How can you read and review so much books (specially that you are in medicine school)? 🌟 Gather around everyone as I am going to spill the tea at last. 🌟 I have been an avid reader for 3 years now in which I read ~350 books in. The method I use needs good time management and self control so I know it won’t work for everyone! 🌟 I tried many different methods since I started reading, in my first year of reading my method was setting a daily goal and reading it. I would go for 50 Pages for example and read them throughout the day in any method I wanted, the important thing was reading them. It was good and I managed to read 86 books that way in that year. 🌟 The second year I decided that I want to read more and to be more organized: I started reading in 30 mins up to 3 times daily. I would read before I go to the hospital in the morning, another 30 mins when I go back home (kind of taking a break) and 30 mins before going to bed. That helped me read bigger books and I managed to read 92 books that year! 🌟 The third year I remembered something that my Physiology doctor once said, he said that human brains can focus up to 40-45 mins and then we need a break. So I tried something: I decided to study for 45 mins and then to take a break for 15 mins which I use to read. It may sound weird for non-readers that I take a break from reading by reading! But if your metric is the fun I am having then you’d definitely notice the difference I am having in those 15 mins! I did this and read 150 books last year! 🌟 I didn’t know what this is called, I was once explaining it to a friend of mine IRL and she said: so you use the 50-10 method and after googling it, It looks like I was doing it without knowing so! 🌟 The advantages of this method includes: reading in small chunks which making concentrating easier, if I am trying to push through a book or a chapter I am not enjoying then the process will be less dramatic. You have motivation to both study and read. It is organized and the 15 mins may not sound like much but when you add up 15 and 15 and 15 then at the end of the day you will find that you have read many pages without feeling so. Also, there are less chances of getting into a slump and these become measured in hours instead of days, I sometimes slump for 3-4 hours but who cares, right?! 🌟 The disadvantages may include some level of self control specially when you’re emerged into a great scene but your time is up! I remember once stopping at this sentence in a book:”And then we all die”!I won’t mention the book for spoilers but my 15 mins ended and I had to stop although I was curious to know what happens next! 🌟 I think what is good in this method is that it can be personalized: you can do 50-10 or 45-15 or 105-15 (if you have less free time). I also have modified it in a way that If I get distracted in those 15 mins by using Twitter for example, then that means no reading and that is like a reward and punishment system!I sometimes can’t stop reading if I am so into the story and that just means I have to skip the next hour’s 15 mins and study in them instead!! 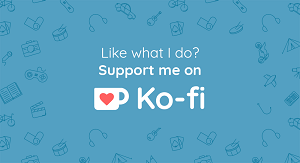 🌟 I also try to use ebooks on public transportation, audiobooks can be an alternative if you are the driver. Try to use every minute you have because if you read for just 5 mins on the bus for example and 5 mins on your way back then that means 10 mins which almost equals 10 pages. Do that for a month and you will have read a 300 pages book without realizing so. 🌟 So now that the secrets are finally out, I hope they are useful! I know that getting used to this system is hard but when you get used to it then it is a very effective method! For me it comes in bursts. I can go without reading for weeks and then one week just have an incredible urge to read and go through many books in a few days. I read 18 book last month but even then, I went some days without reading and other days where I read 2 books in a day haha I don’t have discipline. I tried read 50 pages per day but it’s either 0 pages or 250 pages. My goal for this year is 100 books, we’ll see how it goes. This is some great advice! This year I’ve recommitted myself to daily reading since the past few years have been busy with grad school. I read at least 30 min daily at work on my kindle. I read at least 45 min to an hour at night on physical books. My goal this year is 50 books. I read 10 in January, so we will see. Very cool, I had never heard of that method before😁 It makes you think about all those bunches of 15 minutes that I waste on my phone when I could be reading! I don’t try to read a lot, I just read as much as I want 🙂 It probably means I have less blogging content but I don’t mind. I’m a writer and a little obsessive about my writing time and every time I read/blog/interact on social media, I think “Oh I could use that time to get more writing done”. Hence I still read, but not as much as a 100 books a year. I hope you achieve your goal and I get you! that’s why I said it is not for everyone! I love this! People are always asking how I end up reading so many books but I think the answer is different for everyone. If you want to read more you just have to find a method that works for you. I read 86 in my first year as I mentioned but I was wowed by those who read 100 and 150 until I found something that works for me and I managed the same number!